Aw, look at that! They're all singing. How adorable. 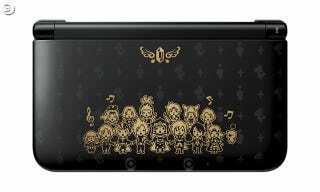 Upcoming 3DS game Theatrhythm Final Fantasy Curtain Call is the latest entry in the Final Fantasy-themed music game series. To mark its April 24 release in Japan, the game is getting a special 3DS XL. No word yet about a Western release for the game or this limited edition 3DS XL.